Djokovic – Medvedev / Australian Open – After Federer won one of the more talented young tennis players in the eighth finals, he also expects Djokovic at this stage of the competition. The first player of the world will continue his trip to a possible new title at the Australian Open with a duel against one of the tennis players who are currently in very good shape, and this is D. Medvedev. Djokovic is the first favorite to win the title at the Australian Open. This is completely understandable, because it is a tennis player who marked the second part of last season. In addition, Djokovic has traditionally played well on the Australian Open, and the main competitors, such as Federer and Nadal, are not in top form. However, there are several younger tennis players who are able to play a good match and win the best, and one of them is D. Medvede.A year ago, Djokovic gradually returned to the field, so the Australian Open did not play in line with expectations. At this stage of the competition better than Djokovic was H. Chung, who won a convincing victory without losing a set. It’s one of the young tennis players who belong to those talented, but after that we have not seen much of Chung. Before the Australian Open, Djokovic played in the Doha tournament, but there was better than him R. Bautista-Agut. Leading world leader and 6 times winner of Melbourne, Novak Djokovic is the main favorite in getting another title to Antipozi. Nole did not have an easy picture, Jo-Wilfred Tsonga and Denis Shapovalov being two of the strongest opponents they could have encountered in tours two and three, both opponents with similar playing profiles. Both Tsonga and Shapovalov are two tennismen who practice an aggressive gameplay based on end-to-end bumps, and this game style seems to be the one that can put the world’s biggest problems.Although I expect to raise the level of the game, Djokovic was not exactly the invulnerable and hard-to-reach monster we know at his best level, sometimes showing some uncertainties in his own game, especially in the game with Shapovalov, when he gave up the third set after five consecutive losses. This season we have already talked about Medvedev and his results on several occasions, and now we will pay more attention to the Australian Open in which this Russian tennis player left more than a good impression. In the first round of the tournament, Medvedev played against qualifier G. Harris, who was expected to overcome without much difficulty. A similar development was in the second round against R. Harrison.A much stronger opponent Medvedev welcomed in the third round. It’s Belgian D. Goffin who has been a regular participant in the finals of the tournament he played in the past season. However, neither Goffin was able to seize the set of Medvedev, and the closest one was in the second set that ended after the tie-break. Therefore, Clearly, as Medvedev left a very good impression, we can eagerly expect his match with N. Djokovic. Both matches so far played between these two tennis players came to Djokovic. The matches were played in 2017, and Medvedev has made a lot of progress since then. To avoid any confusion, Djokovic is still a big favorite, not only in this match, but in the entire tournament, but we think that Medvedev is competent enough to make the match more certain, which is why we are calling for a counter-handicap in the number of won sets. For this final eighth final on the men’s Australian Open, I will choose to go on a slightly more ambitious bet, but with good chances of success from my point of view. Obviously, Novak Djokovic is the clear favorite of bookmakers and all the specialists in this duel, being at the same time the main favorite of the bookmakers to win the title but I think Medvedev is one of the most dangerous opponents present on the picture at the moment. The young Russian crosses the best form of his career and, starting with the second half of the previous season, seems to be developing with great confidence in his own game. Medvedev practices a risky tennis based on aggression and a flat-footed arsenal with a fairly low margin of error but extremely effective against any opponent when he catches a good day. So far, Daniil has not even given a set to this Australian Open edition, he and Rafael Nadal being the only players to boast of this performance. Djokovic was far from his best level with both Jo-Wilfred Tsonga and Denis Shapovalov, and this is due to the small mental gaps that the Serbian seemed to have during the two matches. I think Medvedev is the kind of player who can frustrate Djokovic with his style of play, and if the world leader does not raise his game level, he will be in trouble. I do not think we will have the shock of the tour at this stage, so I expect Djokovic to finally impose himself in front of his less experienced opponent, but not lacking a serious opposition from the Russian tennis player. Novak Djokovic is one of the best tennis players in history, and still number 1 in the world. Here is the favorite to take the title, although his game has not even been to its usual standards lately, especially here referring to the Doha tournament. The Australian Open has just lost just one set, but the opponents were either modest or medium-sized. 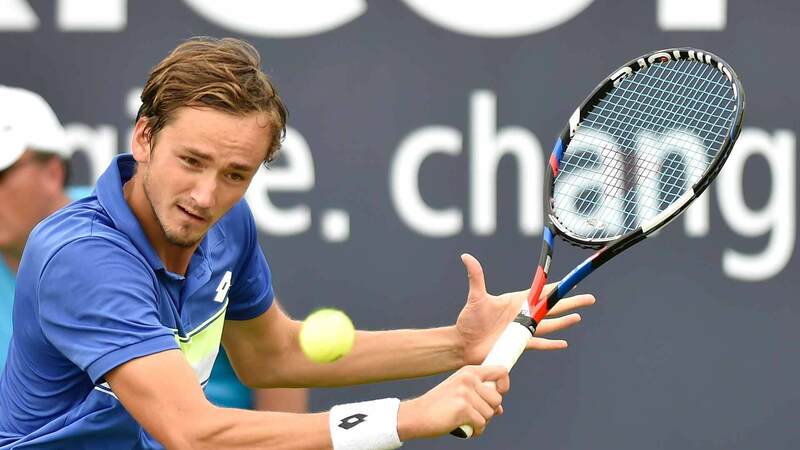 Daniil Medvedev is one of the best tennis players in the world and a potential future number one in the world. He already has a solid tournament this year, the Brisbane finals, and he has not lost the set here. This is quite impressive, especially since Harrison and Goffin can always make big problems and develop an effective game. As for the Russian service, it worked well, having 7 Aces with Harris, 10 with Harrison and 7 with Goffin, all the matches being very short. And Medvedev also committed quite a number of double mistakes, 4 in the first game, 1 with Ryan and then 2 with Goffin. So I think Daniil can have over 10 aces + double mistakes, especially because the match can also have 5 sets, my prognosis going on this idea to a stake offered by Betano. Nole has almost gone so far. Say close, because the Serb gave up one set so far, in the three games played and atypical, after having had a break in the 3rd act. The Djoker has “punished” Shapovalov with the top and stuffed for the set and took managed a 6-0 6th round in the 4th set. Otherwise, no Serbian history matches, which will now give Daniil Medvedev one of the best players in this year’s debut. The Russian went in the first 3 rounds, but with the exception of Goffin, who is still far from the last form, the other opponents of the Russian were modest. Matches against top players are always different, and that’s why they think Medvedev will show limits to the world’s number one. I’m going on the 5-game victory of the Serbian difference, so cover me if Daniil will make a set. Quotation is not high, but it has very good chances of success.